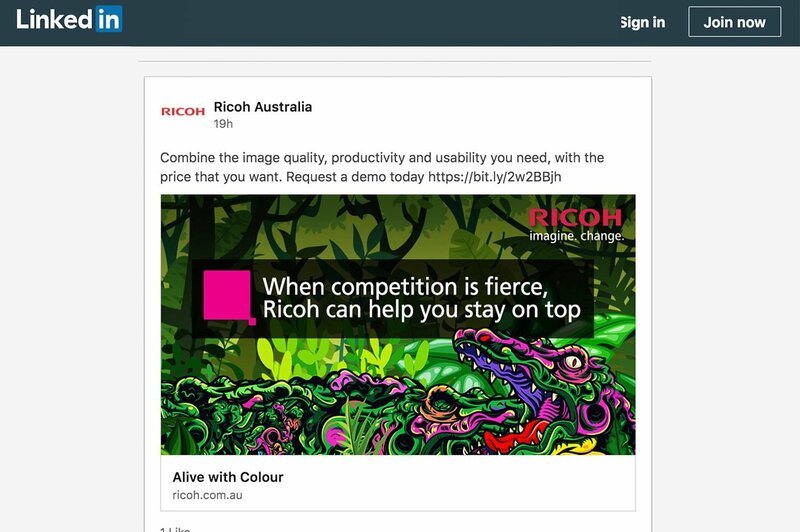 McCorkell Sydney worked with Ricoh Australia on a campaign to launch the new Ricoh C9200 and C7200X printers. This involved creating a new campaign targeting commercial printers with print advertising, social media and a industry event invite. McCorkell developed a concept emphasising ‘Alive with Colour’ by creating a illustration of a crocodile pulling away behind the printer to expose a colourful illustration of a forest. 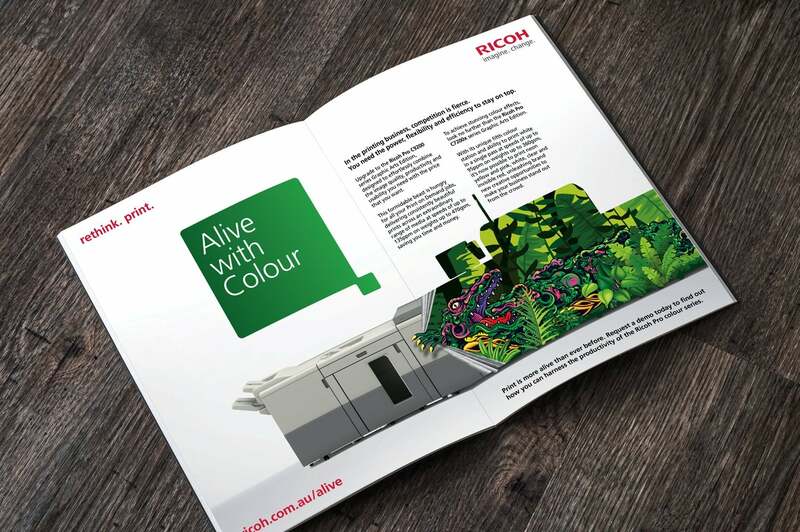 We wanted to emphasise the benefits of the new Ricoh printers which was the use of special inks and fluro colours. This concept was deployed as a double page advertisement which appeared in Connected magazine. We also promoted the products on social media using LinkedIn sponsored posts. 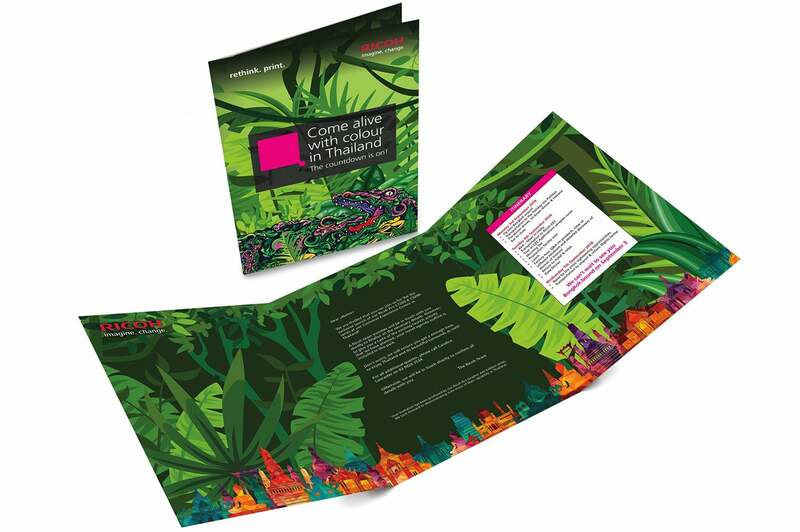 McCorkell also designed a gate-fold invite for a industry event for high-level customers who were invited to a event in Bangkok to view a demonstration of the printer.